I always have a vision of how amazing summer break is going to be: me and the kids sleeping in, spending lazy days relaxing at the pool, everyone getting along and the laundry magically doing itself. And it usually is that great–for the first week or two. After that, I remember that when you have little kids the pool isn’t actually that relaxing, and we’re going to need to figure out some alternate destinations to keep boredom (and bickering) at bay. Here are 10 of our favorite places to go when we need to get out of the house during the summer (or frankly, any other time of year). 1. The library. Ok, the library might not seem like the most exciting place, but most public libraries actually offer a host of activities, classes, reading programs, etc., that are a great way to keep kids busy over the summer. 2. Museums. A museum visit with the whole family can be pricey, but many museums have free or reduced priced days that let you take advantage of all they have to offer without selling an limb to afford it. Just remember those days will likely be crowded, so consider planning your visit in the late afternoon/dinnertime, when many families will have already headed home. 4. Farmer’s markets. My kids love the farmer’s market! Even if you don’t plan to load up on fresh produce (and why wouldn’t you?) a walk through the farmer’s market will usually offer lots of see, many different homemade foods to try, and sometimes even musical performances. 5. The park. Summer is a great time to explore different parks in your area. It’s amazing how different toys can make the same old park visit a lot more fun. Some cities even have “Explorer Parks” or “Adventure Parks” that look like castles or pirate ships. 6. U-pick farms. If you’ve never taken your kids to a U-pick farm, it’s time to google the closest one in your area, because this just may be the cheapest fun your kids will ever have. My kids ask all year long when we can go back to the raspberry farm! 7. Public transportation. Ok, I know public transportation is usually more of a nightmare than a fun outing, but when you’re four years old, riding a bus is pretty darn awesome. If your area has a light rail train you can take for a ride, even better. We once took a day trip in Seattle and my kids’ favorite part was (no joke) the ferry ride from one place to another. 8. A campfire. Camping is great, but it takes a lot of equipment and a lot of planning. When our kids were all little, we’d skip the actual camping and just spend an evening outside with a campfire instead. All the fun of s’mores and family time without any of the work (or bad sleep) of actual camping. 9. A splash pad. Splash pads are perfect for younger kids. They love running through the sprinklers, everyone gets to play in the water, and I didn’t have to worry about keeping multiple little ones from going under. Win win. 10. Chuck E. Cheese’s. When my oldest three were young, Chuck E. Cheese’s was one of our favorite places to go when we wanted to spend a few hours having fun without spending too much money. 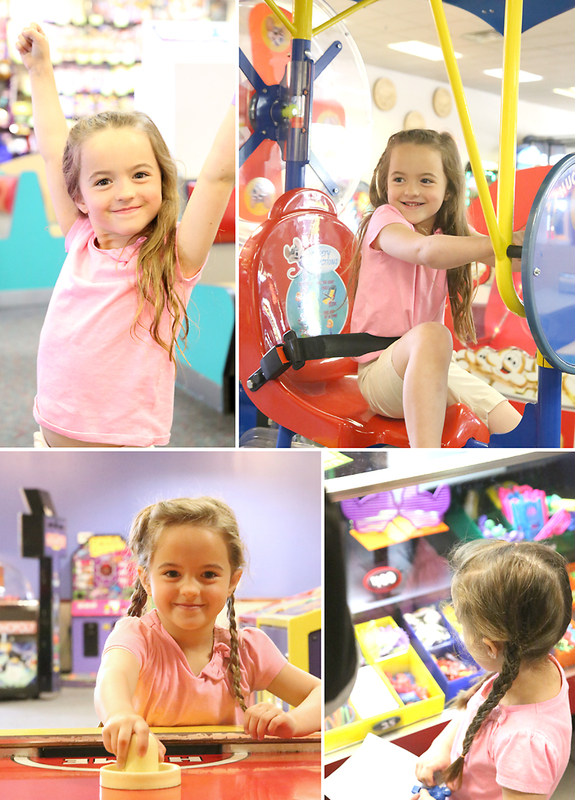 I took my youngest there last week and I was impressed with how long she had fun without going through that many tokens. Chuck E. Cheese’s now has a lunch buffet option offered M-F from 11 am to 3 pm. It’s $5.99 for adults, $3.99 for kids 3 and over, and free for the littlest ones in your group. The buffet we ate at included fresh salad, 4-5 varieties of pizza, and a cinnamon dessert pizza. It was a great option because the kids could play for a while, eat a few slices of pizza, play some more, and then eat some more, all without arguing over which kind of pizza to order. 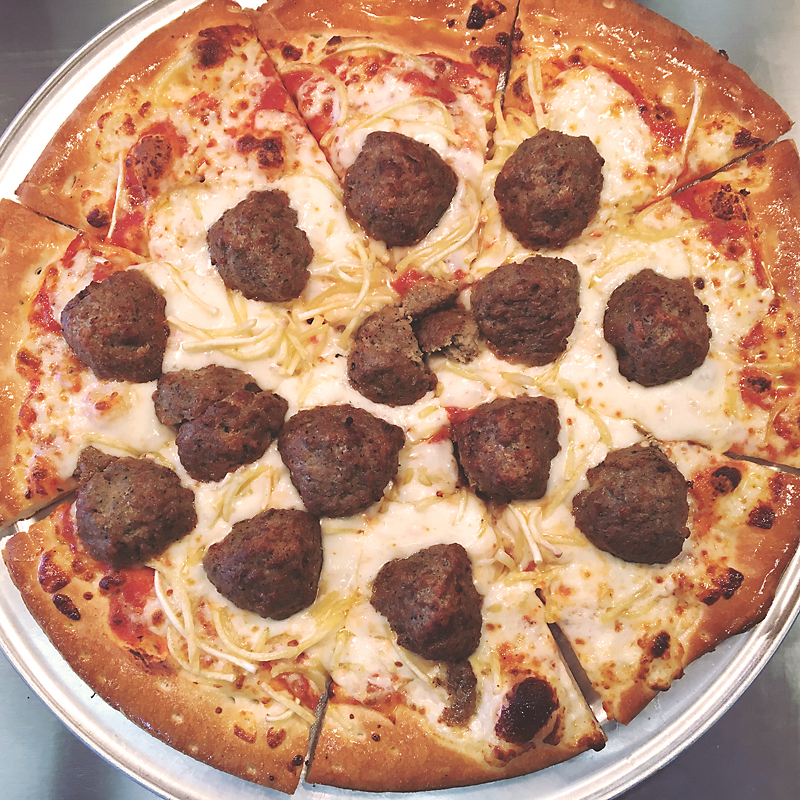 They loved the Spaghetti & Meatballs Pizza, while I really liked the new Thin & Crispy pizzas. The pizzas are made fresh (never frozen) and are cooked to order for the buffet. You can find the nearest Chuck E. Cheese’s by using the store locator found here. My daughter had a blast at Chuck E. Cheese’s. The games are perfect for her age (she had fun with the mini air hockey table) and there’s even a jungle-gym area kids can play on without using tokens. The hit of the day was, of course, when Chuck E. Cheese himself came out to say hi and throw extra tickets. My favorite part about visiting Chuck E. Cheese’s is the kid check system. When you enter, an employee stamps your hand and your kids’ hands with a matching number, and everyone is checked before leaving to make sure the kids are going out with the same adults they came in with. That means I can sit and chat with mom friends while the kids play without being worried the kids will wander outside without me. Find more from Chuck E. Cheese’s on Pinterest, Twitter, Instagram, and Youtube. 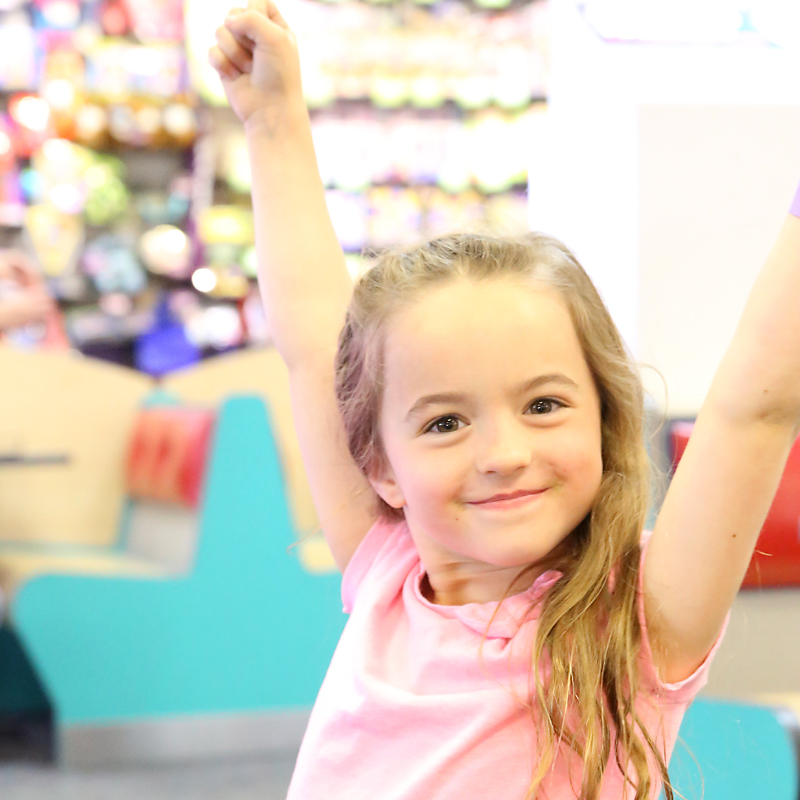 One lucky reader gets to win $100 to Chuck E. Cheese’s! To enter, visit Chuck. E. Cheese’s on Facebook, then leave me a comment telling me why you’d like to win. Contest will end May 23rd 2016 at midnight. Winner must be 18 years or older and live in the United States. Once contest is closed, winner will be contacted and will have 24 hours to respond in order to claim your prize. Good luck! I’d love to win because the last (and only time) my daughter was there was almost a year ago and EVERY time we drive past (sadly, it’s often because of where it’s located) she asks to go back. My boys ask to go there all the time. They remember going there for a birthday and would love to go back! Thank you for the opportunity! I live in an area where temperatures go over 100 in the summer, so Chuck E. Cheese is always great indoor entertainment. I’d like to win because I haven’t been to Chuck E. Cheese in years !!! I’d like to win to take my nieces and nephews on a fun trip to Chuck E. Cheese! My grandson loves Chuck E. Cheese. We have been going since my son was small and he’s 43 now. It is a family tradition. We have always been fortunate to live close to one and we’ve moved a lot. I’d love to win for a fun birthday party for my son. I haven’t been since I was a kid and I bet my kids would love it! I have four kids and they would love to go to Chuck E. Cheese. The good news is the town it’s in has a fabric store I’d love to go to! I would love to win the giveaway. I have been taking children to Chuck E. Cheese since my son and daughter were children and now they are both grown and on their own. Now I get to take my grandchildren, who still love the pizza, the games and to dance with Chuck E. Cheese! All of these ideas are great and perfect for having a great time with family. I have been wanting to go to a u-pick farm- I have been jealous of all of my FB friends and their littles for going. I would love to win so I can take my 3 nieces to Chuck E Cheese’s- they love it there! 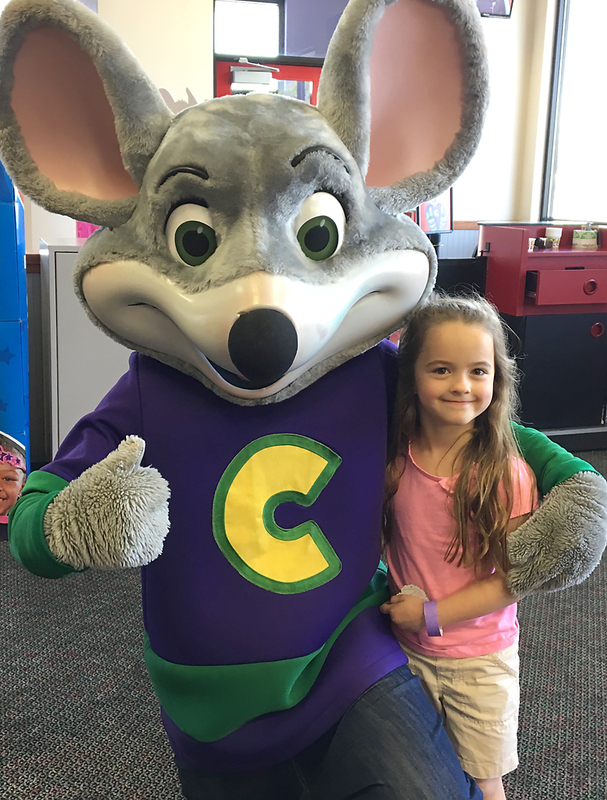 My girls are almost at the age where they are going to start to think it’s uncool to go to Chuck E. Cheese so I would love to have one last big blowout there for them to have fun without being embarrassed! My kids luv going to Chuck E Cheese, it is tradition in our family to celebrate their birthdays there. My little one is turning 6 next month and we are already making plans for his big day. $100 would get him a whole bunch of tokens. Thanks for the chance to win! My kids have never been, and they are finally at an age where we could go and have a lot of fun. What a great give away. And thanks for sharing the info! I’d love to win because our grandson who’s 13 still keeps asking to go! I would love to win because I would like to take my grandkids this summer. They are the perfect age and would love it. I can’t afford to take them because I am disabled and on a limited income. We never lived by one when my four kids were growing up but I live less than 15 miles from one now. They have a great Facebook page with a lot of positive comments. Thank you. I would love to win to take my daughter (6) who has never been! I know she would love it! My kids are always asking to go to Chuck E Cheese’s, but we’ve never been able to work it into our budget. This would be a great thing to win for my kids! because my kids love chuck e cheeses! Oh I would love to win and take our family. We do not go out to eat very much as I was diagnosed with Celiac disease and have to eat gluten free. I LOVE that they have gluten free pizza! This would be such a fun family outing and I love that I could eat too and not worry about getting sick. My kids really love chuck e cheeses! The pizza and the games are their favorites! I’d like to win because my kiddos love chuck e cheese and it’s always fun to go with them. I have never taken my daughter, and I think she would really enjoy going! I would like to win so i can treat my kids to a night at chuck e cheese for a job well done this year in school. I would love to win because I get to keep my grandchildren in the summer and I think it could be a great outing for us. Thanks for the opportunity! I’d LOVE to win so we can take our kids and foster daughter for a FUN day this Summer! I would love to win this AMAZING giveaway because I would like to take my twins to our local Chuck E. Cheese and have tons of fun. Thanks for the chance. We love the CEC close to us, its always clean and the games all work. Would love to win so we ca plan a few extra play days there, instead of being outdoors when its super hot. I would love to win this for my Granddaughter. We could enjoy a fun day together, before she begins Kindergarten. I would love to win to so I can take my friends son out for a day of fun. He does not get to do much and this would make him smile so much 🙂 Thanks for the chance to win and good luck to all..Chuck E Cheese is the place where you can still be a kid even as a adult! I would love to take the grandchildren. They are living with us for a while. I would love to take my kids and their friends on a rainy day this summer! My daughter always begs me to take her to the Chuckster! Boy would she be thrilled if I won this! I’d LOVE to win! My kids Loves Chuke E. Cheese’s. We always go there every weekend. Honestly, not only my kids enjoy games & arcades, they also meet new friends and have a blast! We love the Pizza and the presence of Chuke E. Cheese’s entertaining people makes our kids so happy! And planning to have my daughter’s 6th birthday too! This $100 GC could add up on my daughter’s birthday! Because I have never taken my almost two year old! I always took my 3 boys when they were young and I want to take my 3 granddaughters. I’d love to win because this would definitely help us have some fun at Chuck E Cheese. My boys (4 and 6) have not yet been to Chuck E Cheese and my daughter (10) hasn’t been since her 3rd birthday. It’s been a while and I know they would love it! I would love to spoil my daughter at Chuck E Cheese for making honor roll ALL year!! I’d love to win because my 2 year old has never been to Chuck E Cheese! I think she’d love it! Just a great time to unwind with the kiddos and have fun!